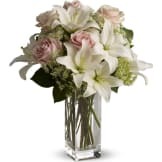 Echoing a romantic night sky, this classic arrangement of silver and white is perfect for a silver anniversary or any special star in your life. 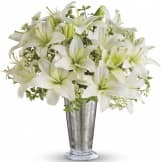 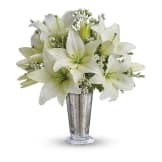 Fragrant snow-white lilies and a stunning mercury glass-style keepsake vase invite your lucky someone to wish upon a star! 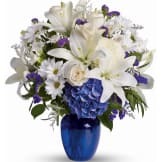 • Striking white asiatic lilies and delicate white waxflowers. 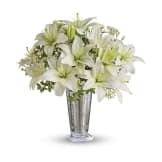 • Hand-arranged in an eye-catching Mercury Glass Antique vase. 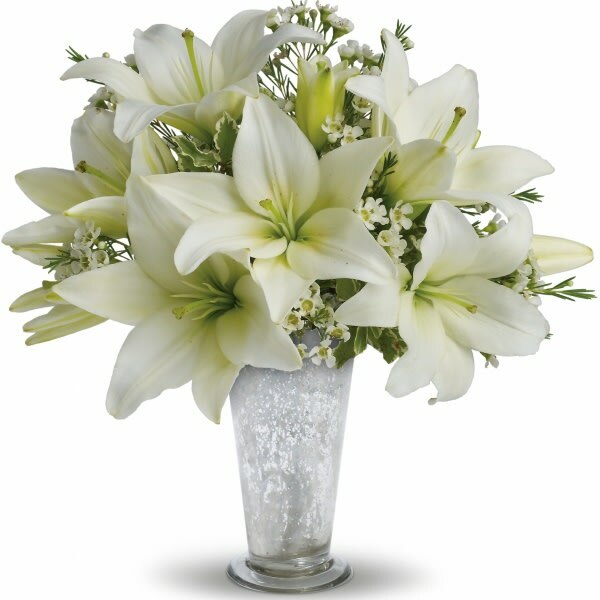 Flowers will be received by a Evans & Browne's Funeral Home's staff.